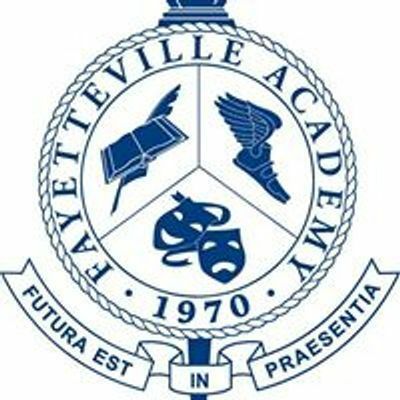 Fayetteville Academy Parents Association serves the very essential function of liaison between parents and the school. 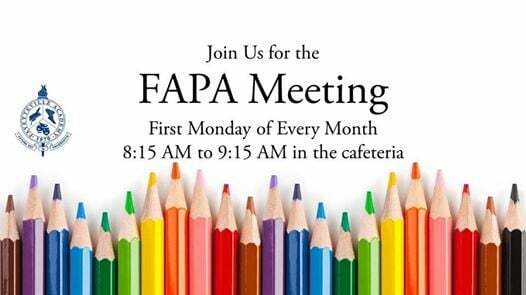 Monthly meetings are held the first Monday of every month from 8:15-9:15 AM in the cafeteria. 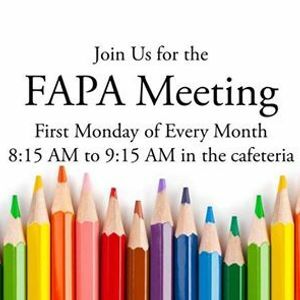 The purpose of these meetings is to increase communication between the school and parents and to discuss school-wide projects.